We will begin the monthly Fiber Arts Studio General Meeting with an update from your Steering Committee. 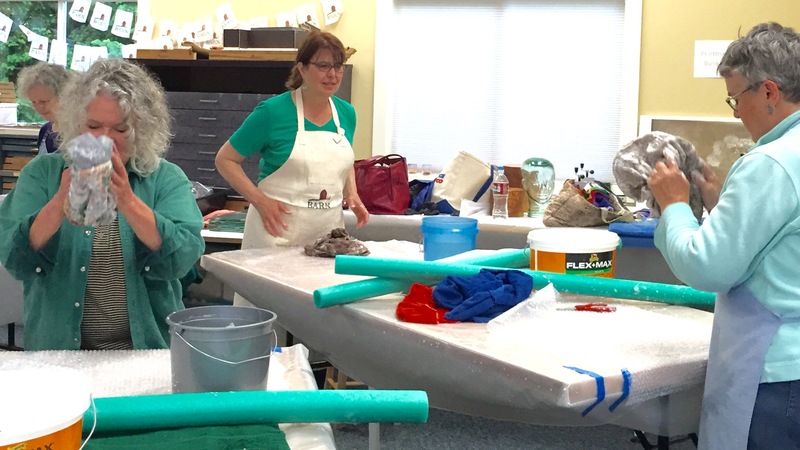 We will share new information and get your input on future Fiber Arts Studio activities. Clean out your Stash! Bring your favorite fiber projects, overflowing fabrics, and excess sewing supplies. Inspire others and trade knick knacks from your stash. Show your own style and unique perspective. UFO's (unfinished objects) welcome! Age Levels: 14+ ,or, younger with an accompanying adult). The Salish Peoples of the Puget Sound Region have always been known as Weaving Cultures. Suquamish Weaver, Nancy Sigo, will share her wealth of knowledge about weaving with Western Red Cedar. Students will learn the cedar splitting techniques and how to prepare those cedar strips for weaving. Students will then use the cedar strips they prepared, along with the cedar strips in the materials kits Nancy will provide, to weave beautiful, individualized fitted woven visors. Students will learn the techniques of basic weaving and twining and will learn about shaping and design as they craft their own useful visors. Materials: $125. The materials fee are for both the cedar materials students will learn to split and prepare, as well as already prepared cedar strips by the Instructor, Nancy Sigo. Skill Level: Universal. All skill levels welcome. 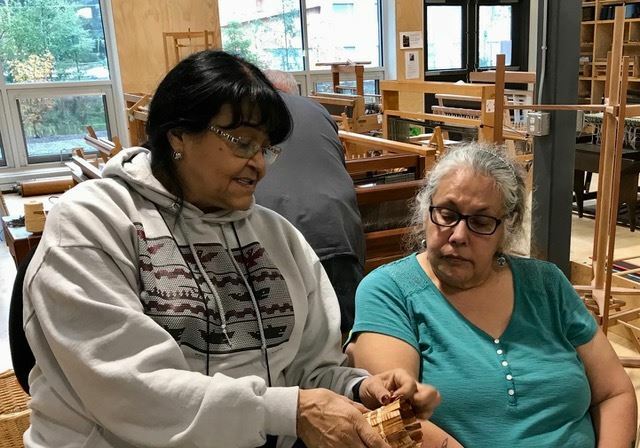 Instructor Bio: Nancy Sigo, a member of the Suquamish Tribe, learned to gather, process, prepare and weave cedar bark; in the time honored cultural practice of using native plant fibers to weave traditional material objects for a wide variety of functional uses. Over 26 years ago, Nancy began to learn from her relatives all aspects of how to weave with Western Red Cedar, and many other weaving materials like Bear grass, NW Sweet Grass, Rye Grass, and Nettles. Nancy shares important knowledge from her own life experiences and her Salish weaving culture. When, where, and how to gather; how to process and store the materials, so many lessons to learn. Nancy feels very blessed with the gift of weaving from a long line of grandmother teachers. She looks forward to meeting others who share a desire to learn this type of weaving and will gladly share that knowledge. We started a series of programs we call “Sew-Alongs.” What is a Sew-Along? It is kind of like a sewing bee where a group of sewing enthusiasts get together and work on the same kind of project. The Fiber Arts Studio 'Sewing Programming Committee' selected some popular clothing patterns. People who want to participate will purchase their own pattern, fabric, and notions required to make the garment. Then, we will meet and work together to make the chosen garment. This May Sew-Along will be ‘The Amelia Dress’ pattern by Green Bee. The Amelia Dress features a bias cut and a back zippered closure, the Amelia dress can be made short or long, depending on your inclination. This is a dress you could wear everyday or dress up for evening! Suggested Fabrics: 2.5 to 3 yards of 44" or wider fabric. Mid-weight quilting cotton, cotton voile, linen, rayon, cotton/linen, or wool challis. Notions: One 24" invisible or regular zipper. One-third yard lightweight interfacing. Thread. The pattern can be bought or ordered at Esther's Fabrics on Bainbridge Island. Skill Level: Advanced Beginner. Participants should have some experience with using a sewing machine. Prior garment sewing experiences is not needed. 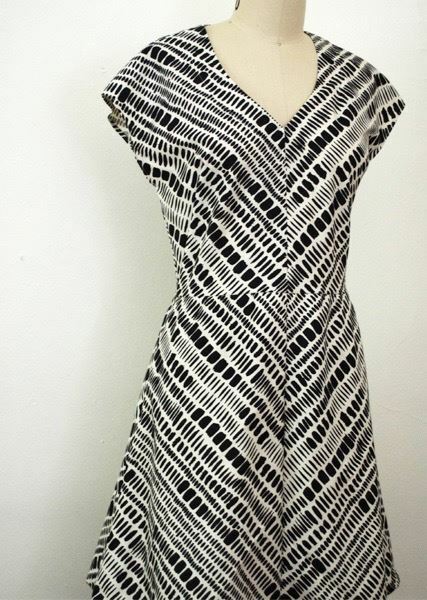 Sewing on knit should not prevent you from trying this dress, even if you have never sewn on knit before. Bring your own machine. You may use a Studio Brothers sewing machine if you have taken the Fiber Arts Studio Brothers sewing machine orientation class. This Sew-Along is hosted by Terry Winer. Participate in the Knitting Block of the Month in May! We hope you saw the hand knitted dishcloths that Jennifer Slack and Julie Williams sold at the 2018 BARN bazaar -- similar to what we will be doing for the Knitting Block of the Month Club. If those inspired you to make your own, consider joining us on a Sunday of each month (January through June) from 1pm to 3pm. 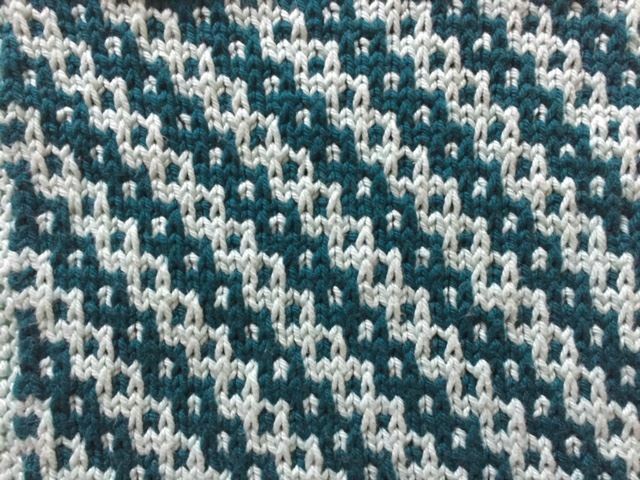 In May we will focus on a Cable pattern. See sample in photo above. Do you or a family member have a favorite item of clothing that you love but can't wear because it has gotten damaged or stained? This is a great workshop for you! Naomi Spinak, the Bainbridge Island Trashion Show Director, will facilitate clothing transformations that turn that damaged article of clothing into something useful. This is a great workshop for the family. Feel free to bring children or come and work on your own with other members of the workshop. Materials: Participants need to bring textiles and/or article of clothing that they want to transform into something usable. Ages: This is a Family-Friendly Workshop. Feel free to bring children (Children under 14 need to be accompanied by an adult). DESCRIPTION: Choosing color is vital to every fiber artist, leading to a desired emotional response in the finished product. Join in on a group discussion as we examine what makes a color combination successful. Terry Loy will be leading our discussion, using examples of her own work to discuss her experiences with selecting color pallets, some successful and some not, but all serving as learning opportunities. 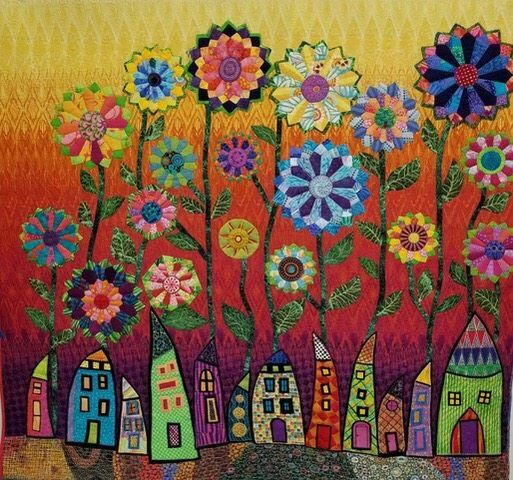 Terry is a longtime quilter, and uses colors in her quilts to evoke joyfulness and exuberance. During this two-day class, learn to cut and sew free-form circles. No templates or appliqué required! The result is a lively, curvy set of irregular rings and arcs that can be combined in a wide variety of ways. 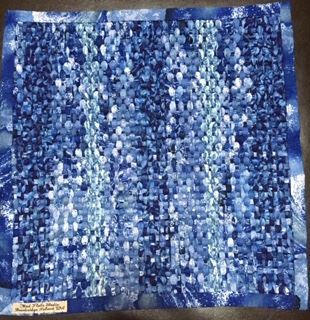 Especially good for quilters interested in exploring their ability to improvise with shape and color. The first half day is focused on acquiring the skills needed to cut and sew arcs. In the second half day, students learn more about the language of color, form, and pattern, and then use this language to improve their feedback skills. By providing feedback on their own work as well as that of their classmates, students expand their ability to make informed decisions in the process of improvisation. 1. Fabric: You'll need to bring an assortment of fabrics in a wide range of values (light to dark) and in a wide range of colors. Bring at least 12 different fabrics: 6 larger pieces (larger = at least 12” x 12”) and 6 smaller pieces (whatever scraps you have lying around). Bring mostly tightly woven cotton quilting fabrics since it’s easier to sew curves when your fabrics are all a consistent weight. 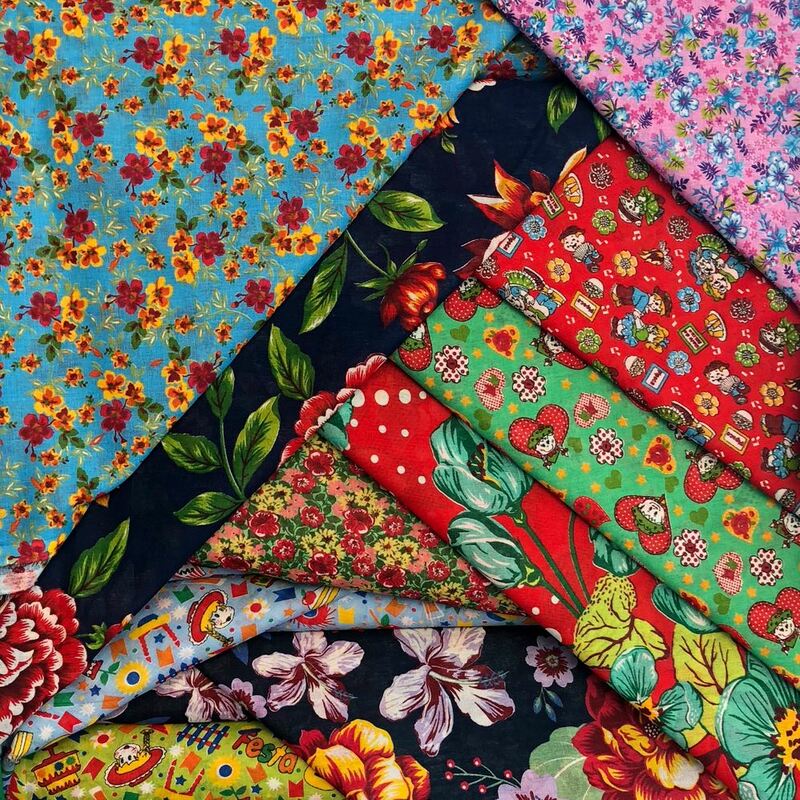 Avoid bringing those light-weight Kaffe Fassett cotton gauze fabrics; they tend to pucker when combined with other fabrics in curvilinear seams. When I say “bring at least 12 different fabrics”, I strongly emphasize AT LEAST, since you should bring additional fabrics if you can. I frequently hear students say, "I wish I'd brought more fabric!". You can bring odd-size scraps of various dimensions, but ideally include plenty of pieces that are at least fat quarters (18" x 22") or larger. Note: Some people like to bring their "ugly" fabric to experiment with (easy to chop it up and mess around with fabric you're not very attached to) while other people prefer to use really great fabric that motivates them to make something gorgeous as soon as possible. Personally, I'm in the "ugly" camp since it allows me to explore new techniques more freely, but those of you who want to bring your most sumptuous fabrics, go right ahead. Either way is fine with me, or do both. 2. Sewing machine with supplies (thread, scissors, pins, etc.). If you want to use a BARN Brothers Sewing Machine, you will need to have taken a Brothers Sewing Machine Orientation class prior to this workshop. See the BARN Fiber Arts Calendar to identify upcoming Brother Sewing Machine Orientation classes. 3. Cutting equipment (rotary cutter, self-healing mat, cutting rulers of various sizes). Please note that the BARN Fiber Arts Studio has these materials if you do not want to bring your own. 5. A free and experimental attitude! Skill Level: Advanced beginners and intermediate quilters. No previous experience with curves necessary, but students must have at least basic quilting experience. 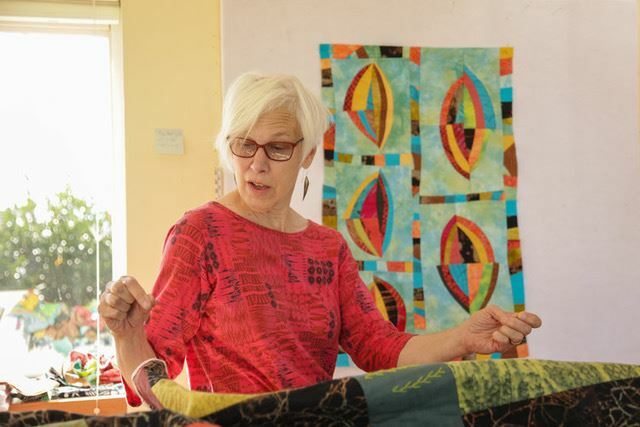 Instructor Bio: Barbara Ramsey is a fabric artist who sews original abstract art works using traditional quilting techniques. Employing her own designs, she pieces together fabric shapes with a sewing machine and by hand. 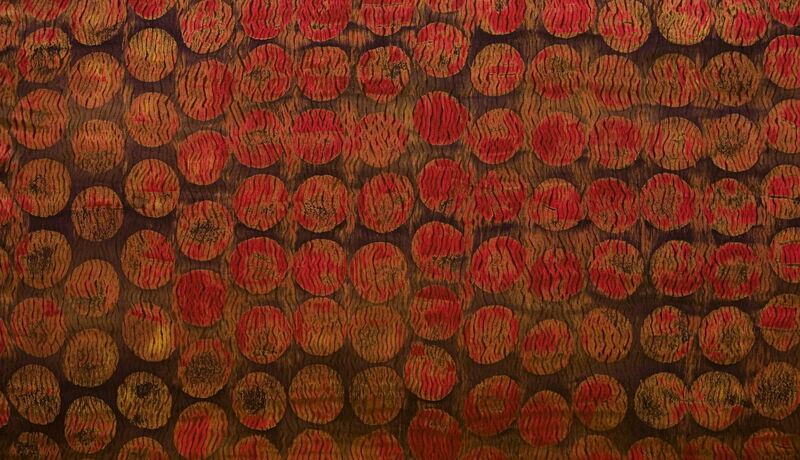 Her main materials are commercially printed fabric as well as fabric she has dyed and manipulated herself. 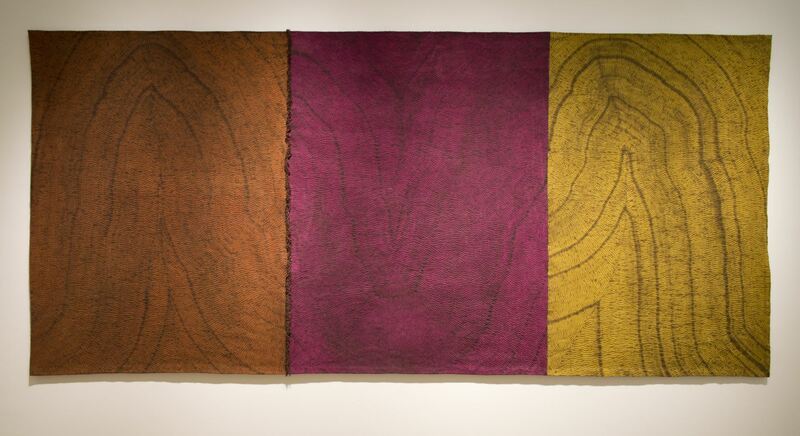 Her work expresses her fascination with light, color, texture, materials, and process. She love the ritual of taking fabric of one color and changing it into another color with dye or bleach. She is completely absorbed by the simple acts of washing, rinsing, drying, sewing, and ironing as she pull scores of separate colors together into a single piece. Like many traditional quilters, She is devoted to precise construction. She differ from many traditional quilters in that she design and cut fabric in an effort to distort geometry. 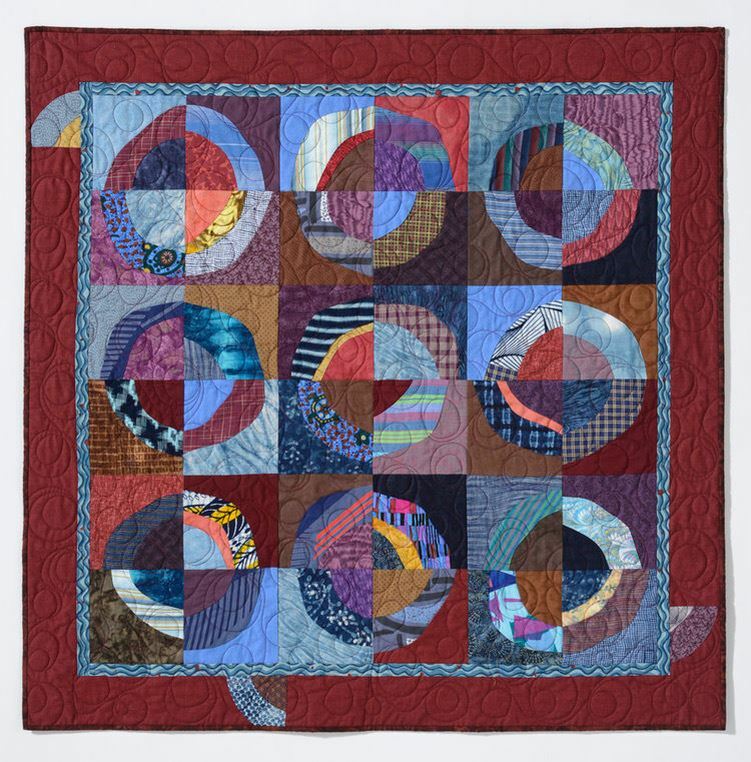 She works to create irregularity, using various shapes to impel the viewer’s eye to roam over the entire surface of the quilt, seeking the harmonies in the middle of contrast. She create her work in order to disappear into its making. Barbara loves to teach quilting and helping other quilt artists as they move from traditional designs to more free-form creations. 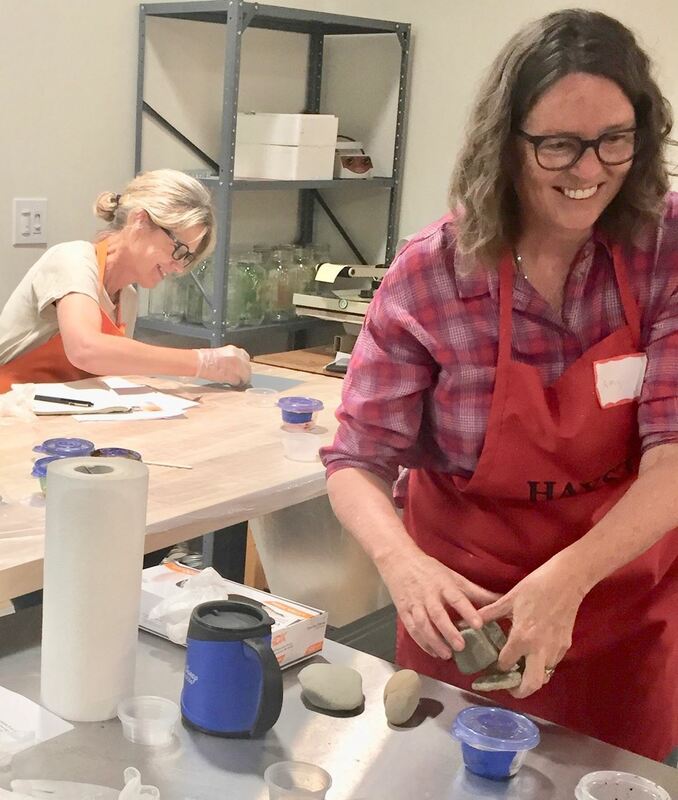 She feel energized as she watches her students learn to improvise with shape and line, create more surprising color combinations, and gain the confidence required to do original work. Students will be able to make 2 or more folded trays in this class. Tricks and tips will be shared for working with Birch Bark, NW Sweetgrass, Veneer, cedar bark, or Midwest Sweetgrass for your rims. These functional trays are quick to make and fun to use or give as gifts. Skill Level: Universal. All levels of skills welcome. Instructor Bio: Baskets are part of a traditional art that is changing. Deb Curtis designs and produces contemporary baskets using traditional basketry materials. By linking basket materials with a variety of techniques she creates “new” baskets and is bringing them to you in her classes. Deb has taught basketry nationally and internationally for more than 32 years. She learned basket weaving in Virginia in the early 1980’s, and loves using natural materials from across the country in her baskets. Currently, she lives in Oregon where she is experimenting with growing some of her own basketry materials. See her work at: www.wovenfiredesigns.com. Birch Bark can be stitched together, cut into strips and woven, or folded, to make traditional and contemporary vessels. Each student will have enough birch bark to explore at least 2 of these options during class. Tricks and tips for working with Birch bark will be shown and discussed. You can either design your own basket/vessel shape, or use one of the instructor-designed sharpens. Students will learn a variety of ways to stitch birch bark pieces together. Deb will share the history of using birch bark in various cultures across the world. Materials: $85 for birch bark material to make vessels. Participate in the Knitting Block of the Month in June! Every month we will be knitting blocks for use either as dishcloths (using cotton yarn) or pillow tops and afghans using worsted weight yarn. Techniques will be taken from Learn to Knit Afghan Book by Barbara G. Walker. We will focus on a different technique each month starting in January 2019 through July 2019. We hope you saw the hand knitted dishcloths that Jennifer Slack and Julie Williams sold at the 2018 BARN bazaar -- similar to what we will be doing for the Knitting Block of the Month Club. If those inspired you to make your own, consider joining us on the second Sunday of each month (January through July) from 1pm to 3pm. In June we will focus on increase-and-decrease patterns. An example of this pattern is illustrated by the bias stripes square sample in the photo above. S haped-resist dyeing is an elemental textile art that is thousands of years old. 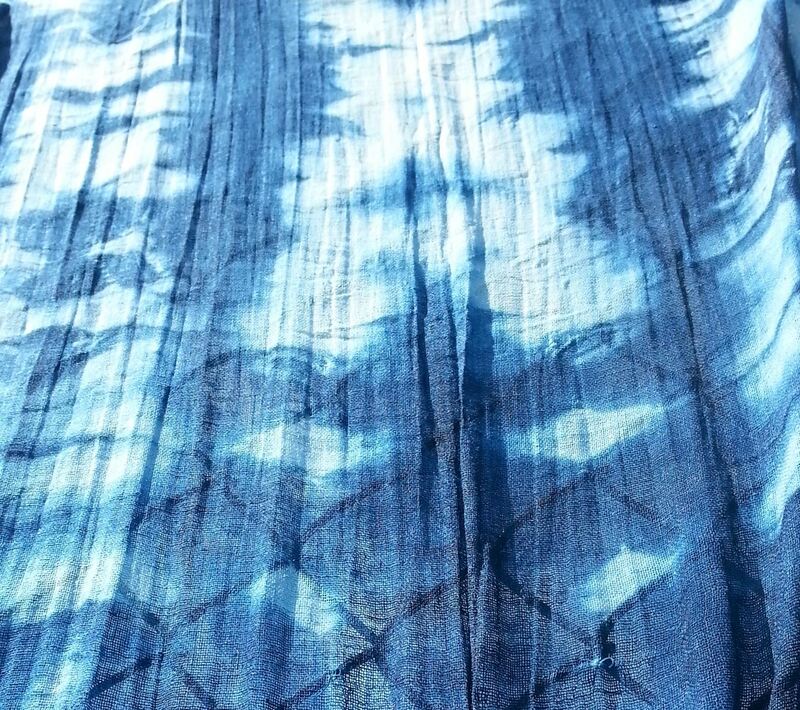 In Japan it’s known as shibori, but it has been made worldwide for almost as long as dyes have been applied to textiles. While applying pressure to shaped fabrics before and during dyeing, we can create exquisite patterns of infinite variety on natural fiber textiles. Working with organic dye extracts allows for the creation of a nuanced and rich color palette. 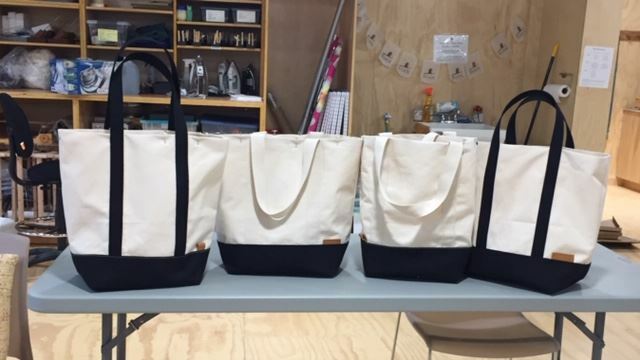 The class will focus on 10 patterns generated through hand stitching, wrapping and bundling. Silk and wool samples produced in class will be dyed in baths we make from extracts of madder root, coreopsis, weld, cochineal, and other sustainably, organically raised extracts to create patterns of timeless subtlety. We’ll safely coax our colors onto cloth using classic alum recipes and Symplocos racemosa (a tropical "bio-accumulator" of alum from the earth) as our mordants. This class is for beginners and beyond. For those with prior experience, feel free to bring images of your work (or actual pieces) if you’d like to engage in dialogue about possible directions your work might take. Please note that this is a forum for making samples; it will not be possible to dye large yardages in this setting. (From Joan Morris website). Materials: Included in the cost of the workshop. Materials provided by the instructors include dyes, supplies, mordants, fuel, fabrics, etc. Skill Level: Universal -- All skill levels welcome. Bring bag lunches each day. We have a refrigerator for people to store their lunches and drinks! Joan Morris - Joan has been teaching classes in shaped-resist dyeing since 1989. ​Since then she has taught widely in the US, Canada, and Europe. In 2016, she began teaching in her own studio space: a capacious, three-season, newly renovated textile studio at The Barn in Norwich, Vermont. This 200-year-old architecturally remodeled barn, located near the Connecticut River in pastoral east-central Vermont, is in the Jericho Rural Historic district—a late 18th century agrarian community located five miles from Dartmouth College and Hanover, New Hampshire. (http://www.hartford-vt.org/DocumentCenter/View/270). Once the domicile of a large dairy herd, The Barn is now the steward of perennial gardens, meadows, and a large, certified organic blueberry orchard that hosts twenty-five varieties of the fruit. Sited high up, vulnerable to weather and with expansive views encompassing forested mountains and a valley holding almost 800 acres of fields and old farmsteads, it is a perfect place to investigate plant-based dyes. Kathy Hattori- Kathy is a recognized authority on natural dyes and pigments as well as commercial applications using natural dyes and has been a pioneer in the field since 2003. She is the founder and President of Botanical Colors, through which she sells organically certified dyes to artisans and industrial clients seeking a more sustainable, natural color palette. 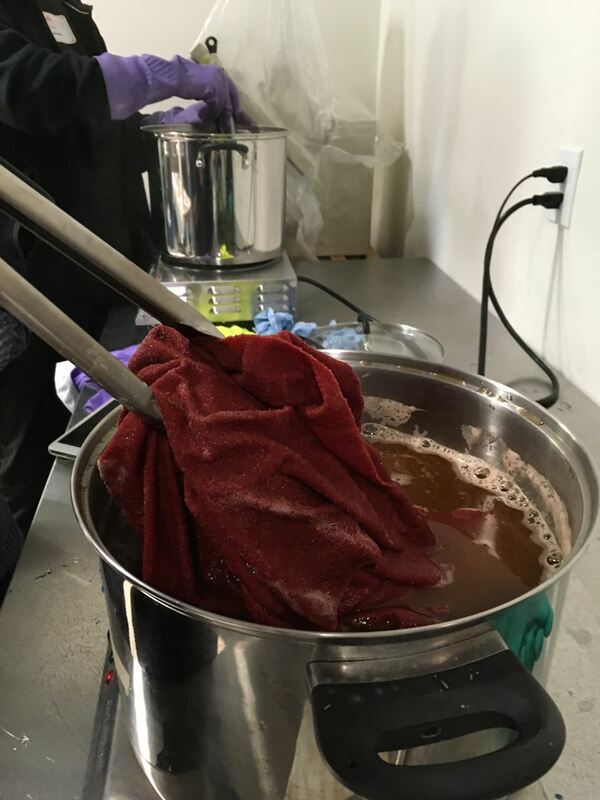 In addition to consulting and advising companies on their natural dye implementation strategies, Kathy has worked with the largest natural dye houses in the U.S. Her international experience includes creating a natural dye program for the largest organically certified tannery in Europe and implementing large-scale natural dye programs. She has also consulted and advised a number of major retail brands, and worked on a USDA VAPG grant in 2013 for natural dye research. In 2016, Botanical Colors was named a Sustainability Leadership Award finalist by Sustainable Seattle and continues to grow working with major fashion brands worldwide. She currently teaches and lectures about natural dyes and is sought after as a speaker about the status of natural dyes in global textile production as well as scaling natural color. STUDENTS SIGNING UP FOR THIS WEEK-LONG WORKSHOP SHOULD BOOK LODGING AS SOON AS POSSIBLE. BAINBRIDGE ISLAND IS A VACATION DESTINATION AND GETS BUSY IN THE SUMMER. 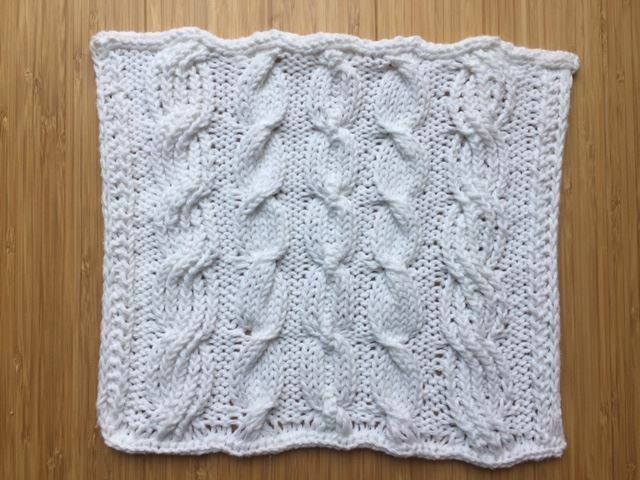 Participate in the Knitting Block of the Month in July! In July the focus will be on special techniques -- we will focus on short row knitting. An example of this pattern is illustrated by the sample in the photo above. Learn the basics of frame loom fabric weaving by making 2 to 3 simple projects (sachet pouch, eyeglass/phone case, coasters). 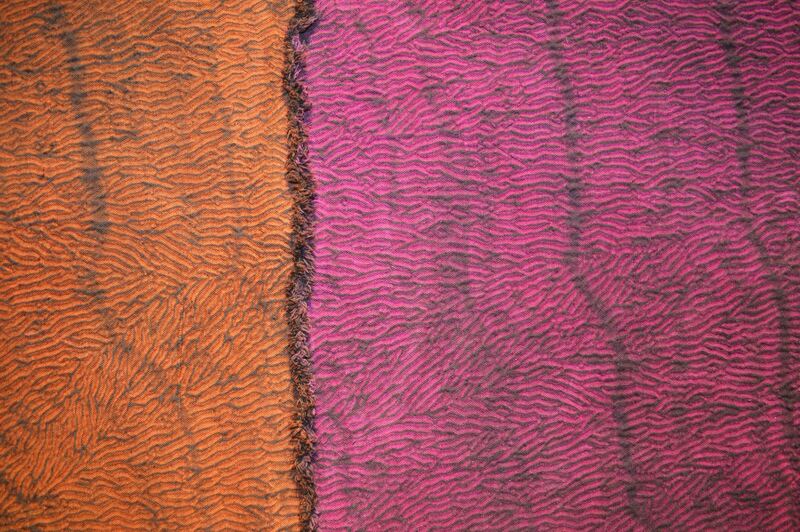 Explore how fabric colors and patterns translate into woven textures and patterns. These simple projects cover the forms and skills needed for larger projects such as placemats, table runners, pillows and rugs. Materials fee: None -- Students bring their own materials. 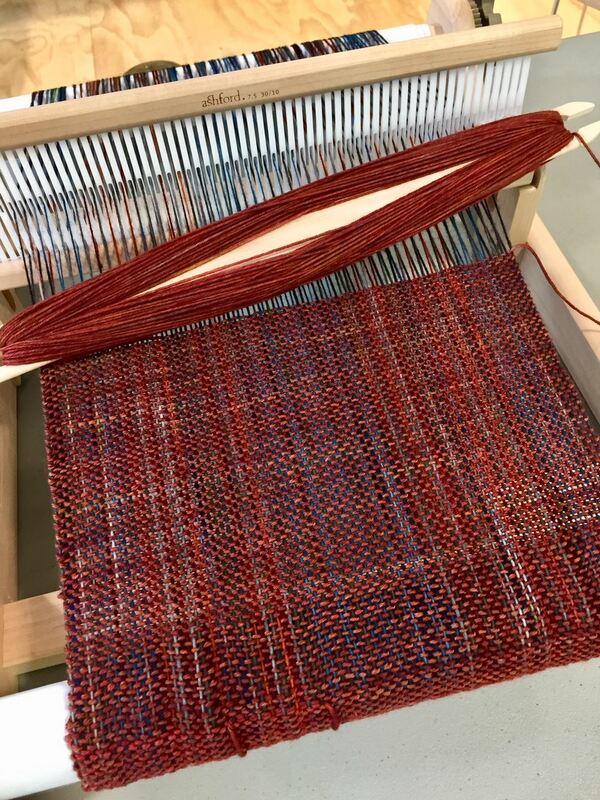 Instructor: Constance Ducar took a frame loom weaving class at BARN four years ago and hasn’t stopped weaving since. Her favorite projects are woven pillows, placemats and purses (so far). She loves working with the different colors, patterns and textures of fabric that can be woven together on frame looms. 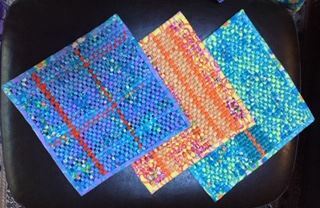 Constance also participates and teaches in the BARN glass studio where she often overlaps fabric weavings (think placemats) with fused glass (think platters, bowls, dish sets). The subtle colors of basketry sedge offer a contrasting band framing the weaving. This basket is finished with a diagonal folded rim adding beauty and strength to the form. Students will learn the weaving techniques of twill-work, strait twining, three-strand twining along with a double folded rim. These foundational weaving methods can be applied to other projects creating opportunity for many more baskets to come. 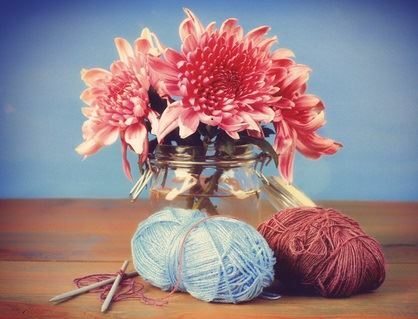 Weavers can embellish their baskets with small shells, beads or other coastal objects. Join us to explore Northwest traditions while working with these beautiful materials. There is a $75 materials fee which well be included in the class price. The instructor will bring all the supplies needed to make the basket. Material fees will be added at the time of registration. Students should wear comfortable work clothes. Although assorted shells and beads for embellishment will be provided, class participants may wish to bring along small items to personalize their own baskets. Instructor Bio: Karen Sherwood began her basket weaving journey creating vessels useful for wilderness survival and woven with materials gathered from nature. Over the last 25 years, her understanding of weaving and the preparation of traditional materials has become much more refined while her interest in creating “working” baskets remains strong. Karen carries a passion for exploring historic basketry techniques and styles and brings this to her work by harvesting and preparing her own basketry materials. She shares her connections to the plants and their remarkable uses when teaching each project. With these connections, each project becomes a unique blend of past and present. “It is with this vision we hope to honor the plants and the traditions they have grown from to give insight to, not only the past but how it can illuminate our future”. Karen teaches ethnobotany programs with the Washington State Department of Ecology. She leads basketry classes throughout the county and as well as other earth- centered programs through Earthwalk Northwest, a wilderness school she and her husband founded in 1996. More info at: www.earthwalknorthwest.com. From the kitchen garden to the alpine lakes, from rivers to oceans, this forager basket will become a highly valued and trusted companion on all your harvesting adventures. Woven from flat and half-round reed, this basket is complemented with a rounded “belly” allowing it to securely hold your harvest. The back of the basket remains flat to rest comfortably against your side. A sturdy lashed rim and riveted strap complete the basket. Mine spends much time holding the bounty of the forests as well as carrying the blessings of the coastal beaches as it is filled with razor clams. You will find the perfect use for yours! The instructor will bring all the supplies needed to make the basket with straps. A materials fee of $65 is included in the class price. Students Should Bring: Students should wear comfortable work clothes. Instructor Bio: Karen Sherwood began her basket weaving journey creating vessels useful for wilderness survival and woven with materials gathered from nature. Over the last 25 years, her understanding of weaving and the preparation of traditional materials has become much more refined while her interest in creating “working” baskets remains strong. Karen carries a passion for exploring historic basketry techniques and styles and brings this to her work by harvesting and preparing her own basketry materials. She shares her connections to the plants and their remarkable uses when teaching each project. With these connections, each project becomes a unique blend of past and present. “It is with this vision we hope to honor the plants and the traditions they have grown from to give insight to, not only the past but how it can illuminate our future”. Karen teaches ethnobotany programs with the Washington State Department of Ecology. She leads basketry classes throughout the country and as well as other earth- centered programs through Earthwalk Northwest, a wilderness school she and her husband founded in 1996. More info at: www.earthwalknorthwest.com.